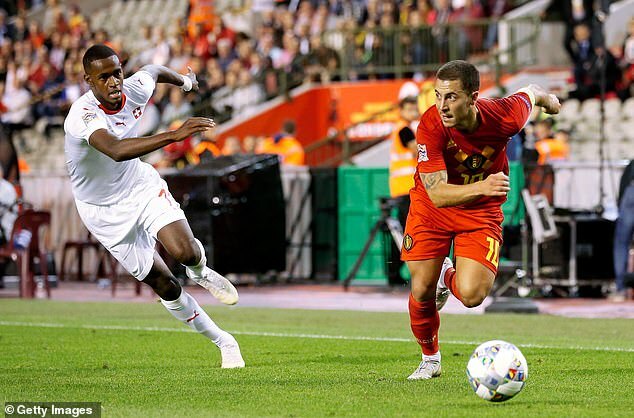 The reason Real Madrid have not offered Eden Hazard the move he wants will be confronting England on Monday night. Marco Asensio likes to operate on the left of a front three, just like Hazard, and Real did not want to hinder his progress by buying the Belgian this summer. It is some expression of belief, given that Cristiano Ronaldo had just vacated the spot. 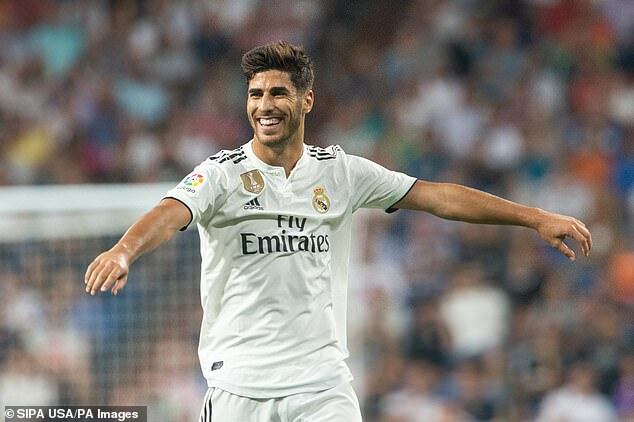 Asensio, 22, has been a part of the Spanish national team for two years, ever since Julen Lopetegui, now his manager at the Bernabeu, made a judgment based on the goal he scored for Real in the Super Cup final against Sevilla. It was straight out of the Marco van Basten back catalogue. That was fitting. Asensio was named after Van Basten by his Dutch mother, who was from Rotterdam and a huge influence before her death in 2011. Barcelona missed out on signing him in 2015. He’d agreed terms with the Catalans, who procrastinated when the selling club, Real Mallorca, demanded a mere £3.9million payment up front and in full, rather than in instalments. The player was already looking for a house in Castelldefels, just outside the city, when Real made their move. There are complex reasons why Madrid do not want his development to be impeded now. Asensio is one of the very few young Spaniards to have broken into the national side having played La Liga football for Real week-in, week-out. Sergio Ramos, bought from Sevilla in 2005, was perhaps the last in that line. There is a narrative of struggle in the back story, too. He suffered with soreness and inflammation in his knees and heels as he grew up and his progress at Mallorca was held back by a year. He has spoken of weeping with frustration and being carried up stairs on occasions because he was in so much pain. Ronaldo had been the impediment to his full development, of course, until his departure to Juventus this summer. Lopetegui’s Real, without Ronaldo, started the season well. But with the side not finding the net in the past four games, doubts are being aired. Karim Benzema and Gareth Bale are getting most of the criticism for what has been depicted as a failure to replace Ronaldo. But the question, ‘Can Asensio really step up?’, is being whispered. If there’s a criticism, it is in his relative modesty. El Pais, the Spanish daily newspaper, has asked if he has the requisite ‘noise.’ Asensio declined Ronaldo’s No 7 shirt, which has ended up with Mariano Diaz. But the pure technical talent is unmistakeable. ‘He controls the ball like someone who crushes a fly against the glass,’ El Pais has observed. Spain’s 6-0 win over Croatia in their opening Nations League fixture revealed what Gareth Southgate’s players are up against. 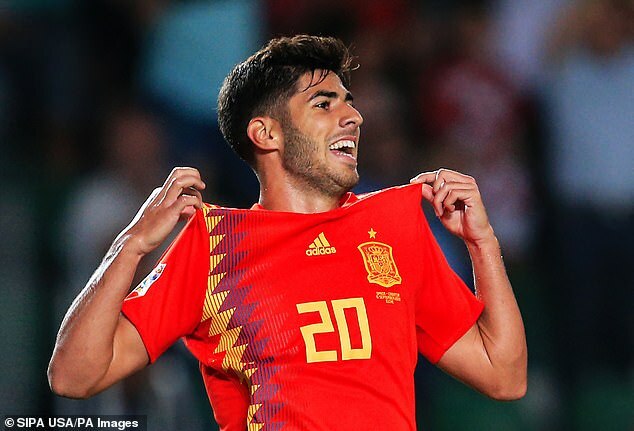 Asensio had never before scored for Spain but managed two in three minutes, if you include the second, which hit the bar and went in off the goalkeeper’s back. He also provided three assists.